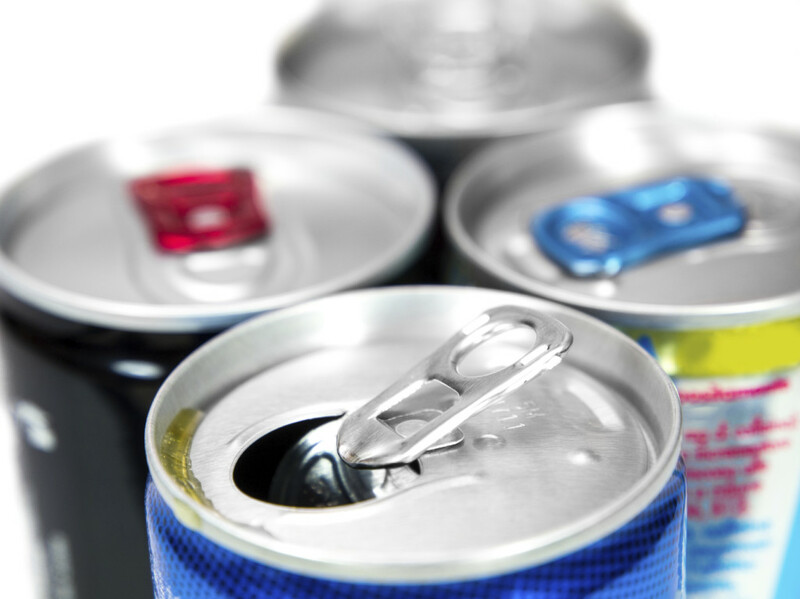 Should Energy Drinks Come With Warning Labels? With intriguing names like Red Bull, Jolt and Full Throttle, energy drinks are popular among young people. In fact, about one-third of kids between ages 10 and 19 consume energy drinks on a regular basis. Energy drinks are not regulated and children of any age can buy and consume them. However, this doesn’t necessarily mean they’re safe. There is increasing concern over the use of energy drinks among young people for a number of reasons. The primary concern is the amount of caffeine in these drinks. The American Academy of Pediatrics recommends that adolescents limit their caffeine consumption to no more than 100 milligrams per day, roughly the amount in a single cup of coffee. But a 24-ounce Monster Energy XXL contains 240 milligrams of caffeine, while the 24-ounce Wired X505 packs a spine-tingling 505 milligrams of caffeine. In other words, iust one can of some energy gives teenagers more than five times the recommended maximum amount of caffeine in one day. Many energy drinks then add other ingredients that increase stimulation. These include, a South American plant that has twice the concentration of traditional coffee, as well as plain old sugar. These can wreak havoc on a teen’s developing body and mind when consumed in large quantity. Two groups of teens have a strong affinity with energy drinks: those that participate in sports and those that are sleep-deprived. Energy drinks appeal to teen athletes because they provide temporary benefits such as increased alertness, improved mood and physical stamina, thereby boosting their performance on the field or court. Sleep- deprived teens are also drawn to energy drinks to remain alert and responsive. According to the National Sleep Foundation, the average teen should get about nine hours of sleep a night. Their brains and bodies are still developing and they need this amount of sleep to function optimally. However, only eight percent of teens are getting that recommended amount. A recent study found that up to two-thirds of high school students get less than seven hours of sleep per night. Excess consumption of energy drinks several serious health concerns for teens and their development. Caffeine taken in large doses can cause heart problems such as irregular cardiac activity, which teens are more susceptible to than adults. Energy drinks have also been linked to an increased risk of depression and substance abuse. Studies have shown that teens who routinely consume caffeine are more likely to be addicted to drugs like cocaine when they become adults. Excessive energy drink consumption has also been linked to sleep deprivation, weight gain and an increased risk of depression. Parents can even talk with teens about their sleep habits and how they can get some additional sleep each night. Not only would this help them avoid over-stimulation, but they would also be in a more clear-headed frame of mind to take on school and the other challenges of adolescence. Chaotic Attachment: Can People Change? The More the Merrier ... and the Drunker?